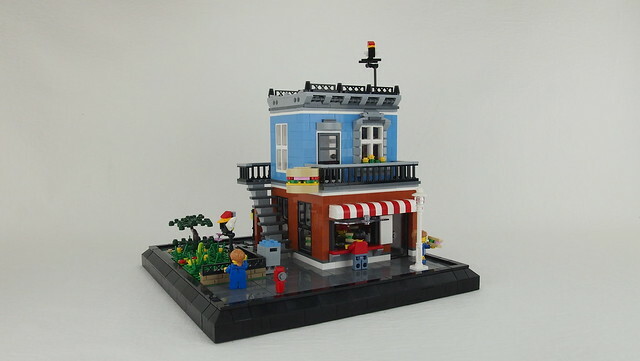 The Corner Deli is build from two 31050 Corner Deli sets with additional 282 parts (in 50 Lots). 35 parts are left over form the sets. As you can see on the photos, I have sockets below the modular house but you can put up the MOC on plain baseplate also. LDD file and partlist for the extra parts are available on my website. snottingen.de is in german language, but i'm sure you'll find the download links. It's also possible to build up the Deli on a 32x16 Baseplate for a smaller version without garden. Just leave off the stairs. You then need less extra parts. Find more photos on my Flickr pages. Awesome mod! 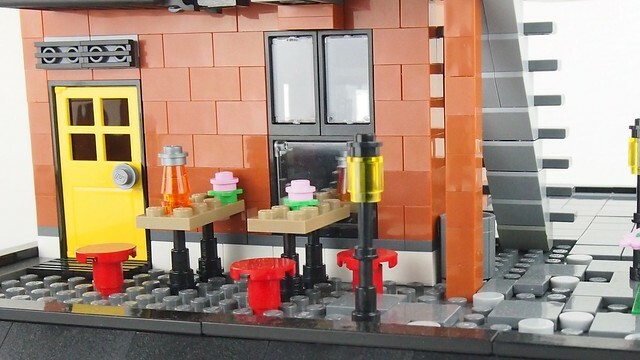 The corner deli is one of my favorite Creator sets, and it's very nice to see if as a full building. Nicely done! 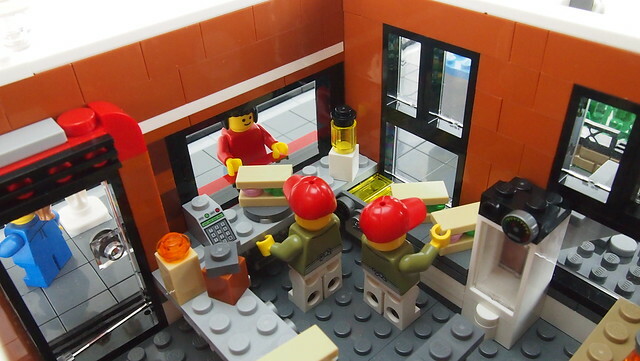 This is great, I am in the process of doing something very similar in LDD, this has given me a few ideas. Wonderful integartion! The diorama looks better in this format! Looks great. You've done a good job of expanding the size but still maintaining the same look and feel of the original. I like what you've done with the interior and the planted area at the side looks very good and compliments the building nicely. You really added what the original set was missing. Excellent job doing so!. This just looks spot on! This MOD shows how the set inititally should have been. I like it! Very nice MOD. The garden is a nice addition. 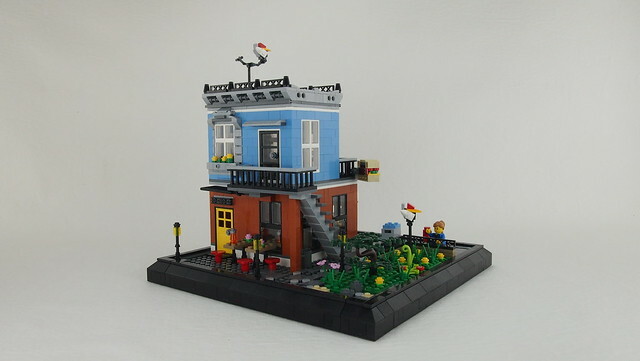 I did a modification two years ago to fit in my modular town. Nice work! I like the tree and the idea of adding a base works nicely here.